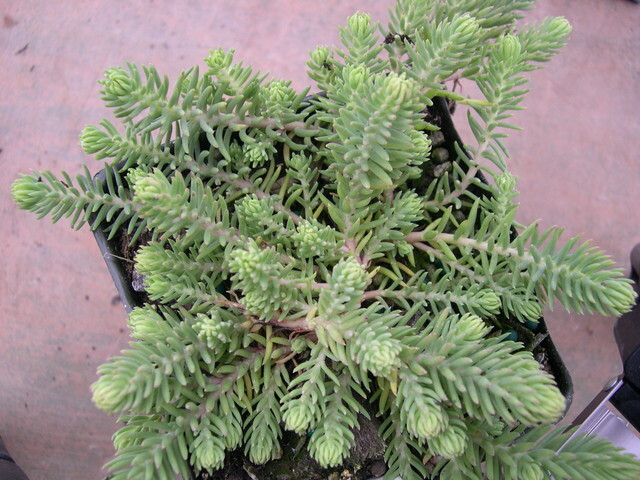 This species differs from its relatives Sedum rupestre and Sedum montanum by having straw-colored, off-white flowers instead of yellow. It is not as invasive as the other 2 types can be. It has a somewhat compact spreading habit that makes it much more desireable in rock gardens. It is also more tolerant of heat than its relatives. Native to southern Europe.